It’s hard to meet people. It’s even harder for your dog to meet people. And by “people” I mean other dogs. Now there’s an app for that. Tindog is the social app for meeting new dogs and their owners too I suppose. The app is aimed at matching up dog lovers with the idea that you’ll be able to get your furry friend some new playmates. Sure, you can rely on dog parks but those are open environments and you’re not sure who’s going to be there. Just like you, your doggie won’t get along with every other four legged creature he or she meets. 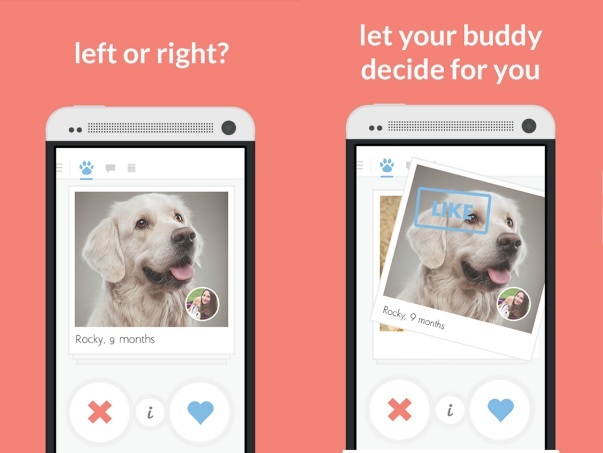 This app will help you cherry pick who you want your dog to hang out with. It’s a silly little app designed like Tinder. If you’re really that into finding your dog a playmate, you should probably just get a second dog. But if that’s not an option, then you can give this a whirl, after all, it never hurts to meet new friends. Tindog is a free app available in the Play Store.